What can a new career in skilled trades offer you? There is national shortage in skilled tradespeople in the UK, from builders, to engineers, to plumbers, to electricians. There are currently just over 1 million people working in various skilled sectors of the trade industry in the UK. Skilled trades are extremely valuable yet undermined among the public. They have unlimited potential in money and customer base, yet not many people seem to consider the trade path. Problems increased in London last year, where one in three of the largest construction companies had to turn down job opportunities, due to a shortage in skilled traders. Since 2009, the number of working plumbers fell by 25%, joiners were down by 17% and builders fell by 7%. Although the total number of apprentices has risen in the UK by 57% in the past 5 years, the numbers are still not high enough to keep up with the demand of the trade industry. The construction industry alone needs 35,000 new traders just to keep up with the demanding pace. 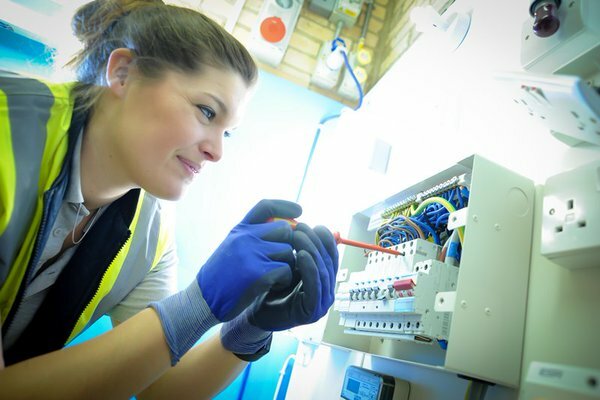 Skilled trades are financially rewarding, with the average electrician salary being £29,000 a year, while a mechanical engineer earns an average of £39,142 a year, and a plumber will earn an average of £27,686. Lack of tradespeople working means that a skilled worker can then earn more money due to the increased demand. Construction, plumbing and electrics are three professions that are constantly in demand, especially in smaller rural areas. With a trade, you are responsible for shaping your career. If you opt to become self-employed and run your own business, the hours will be long, however the job will be very rewarding. You will have the freedom in your schedule to choose your hours and also security in a career that will always be in demand. Apprenticeships offer anyone the opportunity to learn a valued skilled trade, which will stay with them for life. While developing essential working skills, apprentices are also able to build relationships with clients and suppliers. Trade jobs will always be in demand but they also allow for constant self-improvement with follow up qualifications, to expand your skills. For those who don’t wish to do an apprenticeship and are still after a career change, it’s still possible to re-train. It may feel hard to break the everyday cycle and start a new career in a different sector, but it is possible with the help of colleges and adult learning courses. With so many skilled trade jobs available across the UK today, there are plenty of opportunities to succeed in the industry. Women are being highly encouraged to learn a skilled trade as the demand grows. Currently, women make up for just 6% of working tradespeople. However, 54% of the public have said a female tradesperson would make them feel safer when alone in the house and 66% said they thought female tradespeople pay more attention to detail than tradesmen. Demand for skilled workers isn’t showing any signs of decreasing in the years to come. There are many skilled trades to choose from and the possibilities for success are endless; it’s all about finding the trade that fits you and your abilities. If you enjoyed reading about anew career in the skilled trades, then take a look at our career change advice!